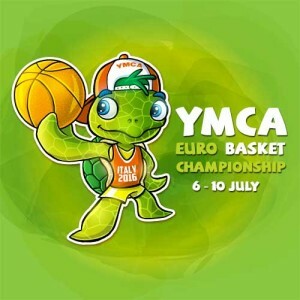 The European YMCA Basketball Championship is the coming big event in 2016 after the table tennis and will take place for the second time in Siderno, Italy. YMCA Siderno will be in charge of the organization of the event and they are working hard to welcome all the participants. Siderno is a small town in South Italy on the Jonian cost, where the YMCA is located very close to the beach. The facilities of YMCA Siderno will give the opportunity to all the players to enjoy the competition, the beach and to learn about the history of the area. For the first time since 1956, the Basketball Championship is open to a guest movement not only from Europe, that’s why YMCA USA was invited to take part in the competition. Teams from Germany, Finland, Sweden and Italy will join the event and the ESY group is working hard to involve more YMCAs around Europe to participate in this event. Invitation and registration letter is available here.